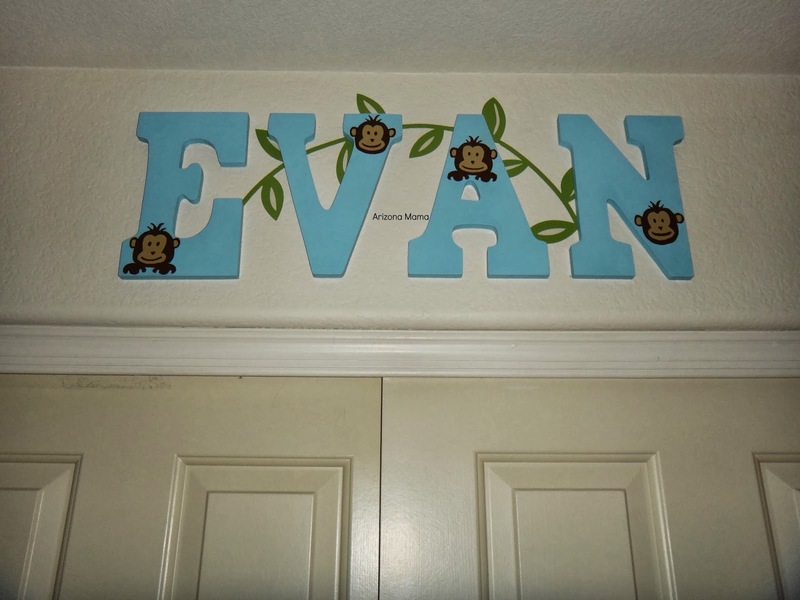 Ok.. so I have to admit that I still have not finished Evan's room. Yes I do realize that he is 18 months old. But I have not completed decorating his room. But can I use the excuses that Evan doesn't even sleep in his room? Well, either way we got a little more of his room done this past weekend. My mom has been a great help. She came over and helped me to lay it out. I knew what I wanted, but needed to get it done. First we got Evan's name in letters. I had every intention of decorating these, but time got away from me. So my mom took them and did it for me. She did an awesome job don't you think!?! Next I had made these just after Evan was first born. But it took me a while to find frames that fit well. Then we put them up on the wall. I love the way we used the vynil stickers here and behind his name. I also go the leaf in the corner from Ikea and that was a chore trying to get it up. And the curtains were made by my mom. 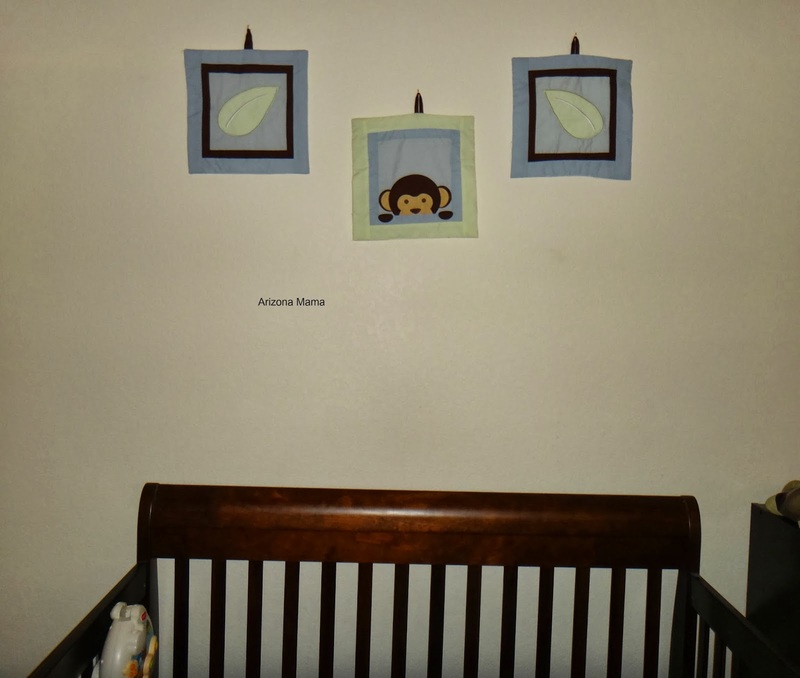 And last the crib bedding came with these cute wall hangings so we got these up. I still need to get the comforter up on the wall. I found some cute clips and my mom helped again by making some leaves to cover the clips and make it all match together. Maybe by the time he is sleeping in his own room we will have it done. Hopefully he doesn't out grow it too fast. I love how it is turning out. It looks great! 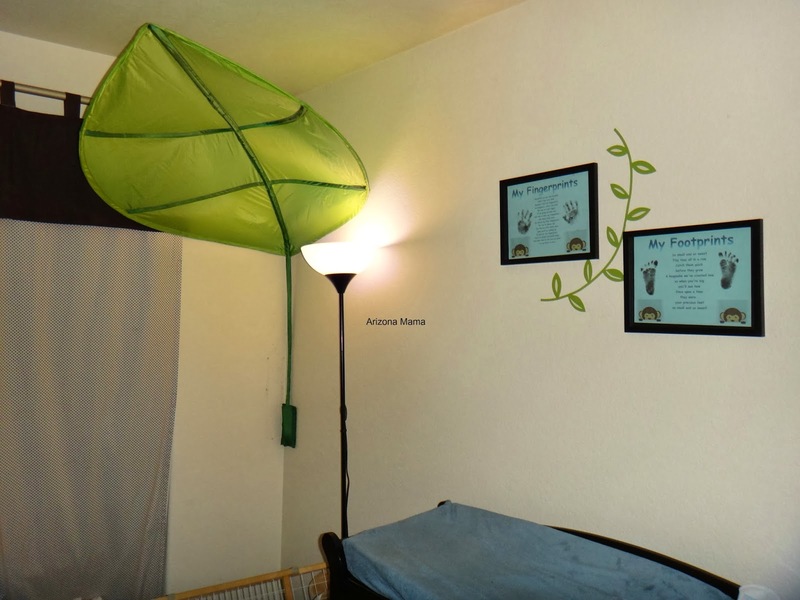 Our kids' rooms are always a work in progress. They always seem to be the last to be done. lol. I don't think that there is a single room in my home that is completely finished being decorated, so don't feel too bad. There is always somthing missing or something that I want to redo. It looks great. I love the big leaf! The big leaf is so fun! Willow's nursery was only done because I am a crazy nester and must have things like that done before baby gets here. I love his room though!